My father told me that when he moved to Cleveland in the 1930's he first lived in a boarding house run by Fred and Dorothy Goodsmith. 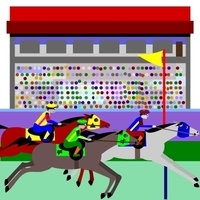 All the boarders gambled and bet on horses. Vincent was born June 9, 1912, in Ohio, the second of two sons born to Michael J and Anna (Donovan) Hurley . 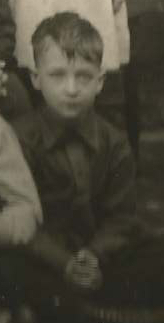 . .
Robert Edward Redig was born July 30, 1914, in Cleveland, Ohio, the middle child of Phillip J and Theresa L (Gibbons) Redig . . .
Albert Elwell was born October 19, 1912, in Ohio (probably Cleveland), the son of George and Josephine (Messer) Elwell . . .
Kathryn Elwell was born August 15, 1913, in Cleveland, Ohio, the only known daughter of William Clarence Elwell and Mary Egan . . . This website includes a picture of the 1922 second grade class at Holy Name Parish on Broadway on the southeast side of Cleveland. My mother was in that class and identified most of the children in the picture. She identified the sixth young woman from our right in the last row as Carl Del Pizzo. There was a Carl Del Pizzo living in the area who is most likely him. 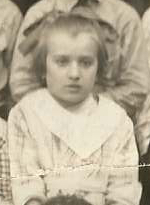 This website includes a picture of the 1922 second grade class at Holy Name Parish on Broadway on the southeast side of Cleveland. My mother was in that class and identified most of the children in the picture. She identified the sixth young woman from our right in the last row as Sadie Kruger. There was a Sadie Krieger living in the area who is most likely her. This website includes a picture of the 1922 second grade class at Holy Name Parish on Broadway on the southeast side of Cleveland. My mother was in that class and identified most of the children in the picture. She identified the fourth young woman from our left in the last row as Genevieve Parle. There was a Genevieve Parle living in the area who is most likely her. This website includes a picture of the 1922 second grade class at Holy Name Parish on Broadway on the southeast side of Cleveland. My mother was in that class and identified most of the children in the picture. She identified the sixth young woman from our left in the last row as Coletta Kearns. There was a Coletta Kearns living in the area who is most likely her. 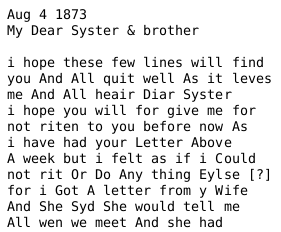 The documents section of this website has a transcription of thirty-five letters sent by Henry "Harry" Billups and his wife Agnes Gratton from Mifflin County, Pennsylvania, to Agnes' sister Emily Hall in Derbyshire, England. Anna Cunningham was born 3 Oct 1845, possibly in Ballymadeerfy Townland, County Down, Ireland, the daughter of James Cunningham and Catherine Devine. The exact date of her birth comes from her granddaughter Nan (Gallagher) Fleming's research. In a letter dated December 28, 1888, from Ballintur, William Doran told his brother Peter in the United States, that 'Tom Murphy and Mathew Sloan is home from cleveland a few days agow.' For a long time I've wondered who this Matthew Sloan could be. 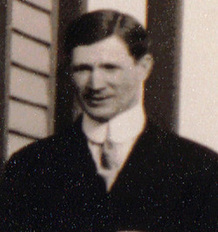 My mother's aunt married a Matthew Sloan in Cleveland in 1907, but he was born in 1879, so he would be too young. Now, I think I might have found this earlier Matt Sloan in the Newburgh section of Cleveland. In the first article in this series, we identified John Aloysius Hankard's paternal grandparents as John Hankard and Anastasia Lawton, both born in Ireland. On her marriage record, Anastasia said her father's name was John. Could we find Anastasia's Irish county of origin? 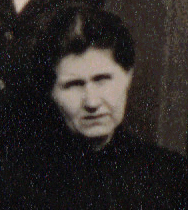 Ann Ellen Sloan was born about 1861, the daughter of James Sloan and Bridget Cunningham. 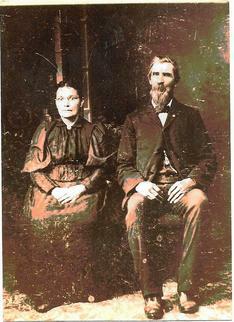 She and Dennis Francis O'Leary were wed in Cuyahoga County, Ohio, on September 5, 1882. They were living at 1310 Broadway when their first child was born on June 16, 1883, or at about 4600 Broadway according to the current numbering system. Ann McAlister was born in Bucksport, Maine, Dec 16, 1905, the daughter of Frank and Josephine (Delano) McAlister. In 1910 and 1920 she was living in Bucksport with her parents and her brother, Royce. Augustus Ezra Paige, or "Zeke" as he was known, was born Apr 13, 1905, most likely in Bangor, Maine, the first son of William Paige and Margaret Jenkins. Barbara Ann Paige was born August 27, 1931 in Old Town, Maine, the daughter of Augustus and Ann (McAlister) Paige, of Bucksport, Maine. Between 1935 and 1940 Barbara's family moved to Orland, Maine. 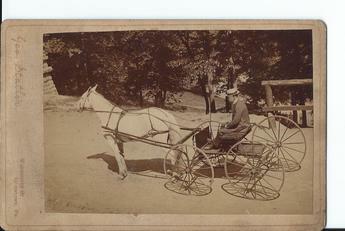 In 1910 there was a man boarding with my great grandfather named Bartley Carr. He was unrelated to our family. Here are a few things about him from my research. Bartley Carr was born about 1884 in Galway, Ireland, the son of Walter Carr and Honora Kelly. 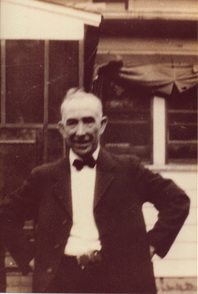 Benjamin Cowan was born between 1834 and 1838, probably in Salem, Maine, the son of James Cowan and Lucrecia Winslow. 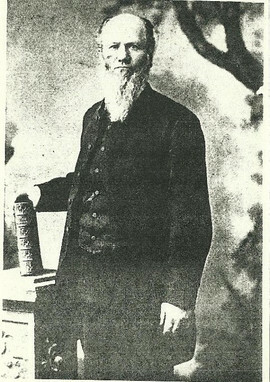 According to a descendant, Benjamin Cowan's great grandfather Thomas Cowan arrived in America with a group of Scottish Presbyterians from northern Ireland, led by a minister named James McGregor. Benjamin Cowan was born between 1834 and 1838, probably in Salem, Maine, where his parents James and Lucretia Cowan were living in 1840. The earlier date reflects his age as given on his censuses, while the later date comes from his age at death in 1903. After Benjamin Cowan's divorce from Rosanna Inman, he apparently went back to Salem, Maine, for a while. The 1870-71 Report of the Selectmen of the Town of Hampden says that Hampton had received $351.34 from Salem for support of residents of the town farm. That would have been for Benjamin's children, as explained in part two of this series. As mentioned in her husband's article, I was pretty sure that Bridget McCartan was from the Rostrevor - Kilkeel area of County Down, but I couldn't prove it using only her records. What made the difference in her case was her death notice. It called her the aunt of Michael White and the late Thomas Fearon. Elizabeth Lawler was born about 1838 in Castlecomer, County Kilkenny, Ireland, the daughter of Michael Lawler and Mary Curran. Elizabeth was married on November 27, 1855, in Notre Dame Basilica, Montreal, Canada, to John Kerwin. Henry Sands was born October 18, 1867 most likely in Ballincurry Townland, south of Rostrevor, County Down.1 He was the third son of Daniel Sands and Susan Sloan. Hugh Quinn was born between 1846 and 1852 in Ballynahatten Townland, Kilkeel, County Down, Ireland.1, 2 He died on Dec 12, 1928 in Cleveland, Cuyahoga County, Ohio, and was buried on Dec 15, 1928 in Calvary Cemetery.3 He was the son of William Quinn and Ellen Clark. He married Maria Cunningham. 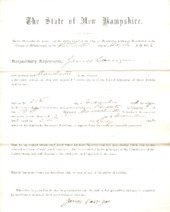 Earlier this week I received a photocopy of the naturalization papers for a James Carrigan, naturalized in Manchester Police Court, Manchester, New Hampshire, on March 13, 1866. He wasn’t our James Carrigan, my wife’s great, great grandfather, as I had hoped. But he was someone’s James Carrigan, so rather than let the work go to waste, I thought I would put it here. There are a few family trees on ancestry.com, familysearch.org, and rootsweb.com that identify James Dudley, the husband of Abigail Hook, as the son of Samuel6 Dudley of Pittston, Maine. None, however, show how to make the connection between a James Dudley born in Pittston and one who died in Veazie. Since there was more than one James Dudley in Maine at the time, I thought I would lay out the reasons why we can come to that conclusion. While we are still at one degree of separation from the O'Rourkes and Rodgers families, let's spend a few minutes on James Murney. James was born 31 Aug 1878 in Ballinran, County Down, Ireland. His family, and those of his uncles who remained in Ireland, are on the transcription of the 1901 Census of Ballincurry. On November 22, 1902 in Boston, Massachusetts, my wife's great aunt, Abigail Ellen "Abbie" (Page) Heise married John Aloysius Hankard. John's parents were recorded as John Hankard and Hannah Keegan. I recognized Keegan as an Irish name, assumed Hankard was also, and decided to see if I could trace either family back to at least the county of origin in Ireland. 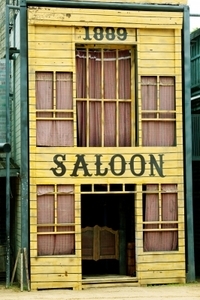 John McVeigh was born in County Down, Ireland, about 1813. As we have seen in the article, Christina O'Rourke, Killowen to Chicago, John was a widower living in Dunnaval Townland in 1901 with granddaughters Christina and Joanna O'Rourke and a grandson James Doyle. John had been on parcel 38A and 38B in Dunnaval from 1866 onward according to the Valuation Revision Books. While I was working on Bernice Hurley, 1922, Newburgh, Cleveland, I came across John and Bridget (McCartan) Mcavoy living on Elmo Street, Cleveland, in 1900. Both of their mother's maiden names were Sloan. With surnames like those going for them, they almost had to be from the Rostrevor - Kilkeel area of County Down. John McGee was born October 7, 1875, most likely in Tullyframe Townland, Kilkeel District, County Down, Ireland, the son of James McGee and Mary O'Hare. 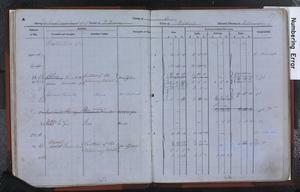 He was baptized that same day; the record is on the Kilkeel Parish Register. At first glance it might seem strange to talk about Joseph Drummond and the Irish famine in the same article. After all, Joseph and his first wife, Judith Shea, were in Montreal, Canada, by 1844. Joseph is identified as a "gentleman" and a "man with a knowledge of commerce" on some of the parish records in Montreal. To a genealogist, siblings are your friends, as illustrated by the case of Catherine Rodgers' husband Joe Whalen. His death notice on February 5, 1968 said that he was survived by a brother Fenton. It was through Fenton that I found Joe Whalen's ancestry. It's hard for me to pass up looking for an Irishman's county of origin, so after finding Another James O'Rourke, Killowen to Cleveland, I thought I would try to find his wife, Mary Burke, in Ireland. 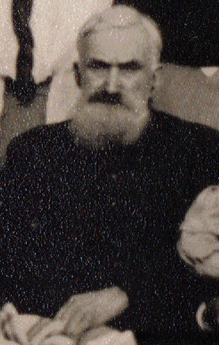 I’ve been looking at the family of my grandfather’s brother James O’Rourke, and have hit a soft brick wall. His wife, Mary Keyes, was the daughter of James Keyes and Mary Nugent. Mary Nugent’s death record said she was born about 1851 in County Wexford, and I can almost prove it, but not quite. Here’s the story. Matthew Sloan was born 27 Apr 1879, in Ballincurry Townland, Kilbroney Parish, County Down, Ireland, the son of James and Mary (Brennan) Sloan. He was baptized the same day with John Fearon and Kate Brennan as godparents. Another way to find a Irish townland of origin is to trace the brothers and sisters of the person you are interested in, in this case the John Hankard who married Anastasia Lawton. His siblings' records might have the information we are looking for. There were a few other Hankards in the Boston area at the same time as John. Were they related? Every human being is unique and no doubt that was true of Patrick Lanagan as well. But what makes him special to me is this: he is the only person whom I have found who is recorded in Griffith's Valuation of Ireland and then emigrated to America. In April 30, 1827, "Patrick McQuaid, the son of Rudy McQuaid dec'd, of Hempfield township, Westmoreland county, and state of Pennsylvania," signed indenture papers beginning his apprenticeship to George W and Jacob S Kern of Greensburg "by and with the advice and consent of his Mother." In the first article in this series, we established that John Aloysius Hankard's parents were John Hankard and Hannah Keegan. Hannah's death record, May 15, 1899, said that she was born in East Boston and her parents were Peter Keegan and Mary A McMann, both born in Ireland. 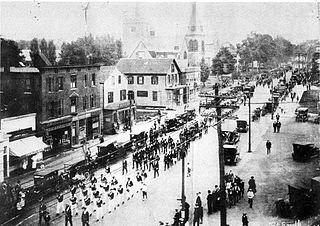 A friend of mine asked me to see if I could find the Irish origins of her mother's Curran family who settled in Norwood, Massachusetts. As I soon found out, there were a lot of Currans in Norwood, but my friend supplied me with enough specifics to get going. In 1910 Peter and Michael Farron were living on East 89th St in Cleveland, across the street from my great-grandfather Ned Rodgers. In that neighborhood, with a name like Farron (Feran, Fearon), they seemed "likely suspects" for being from the Kilbroney/Killowen area of County Down, Ireland. It turns out that they were. While working on the article, I noticed that Mary's cousin Bertha Raimer married a Cunningham. That got my attention, since my great grandmother's maiden name was Cunningham, and they lived in the same part of Cleveland as the Raimers. As it turned out, Bertha's daughter married one of my second cousins. But let's begin at the beginning. In the last article, we learned that William Dudley Anderson had a stage name of Bobbie Carroll and died in Chicago in 1932. Can we fill in anything else in his life between the death of his wife Mary Rodgers in 1898 and his own death? So far in this series, we have discussed some young men who left Killowen for Cleveland, but this time we will consider a young woman, Rose Sloan, from the same area. Susan Brennan was born, probably between 1873 and 1874, the daughter of Peter Brennan and Ann Savage.1, 2 She was very likely born in Kilfeaghan townland, Kilbroney District, County Down, Ireland. 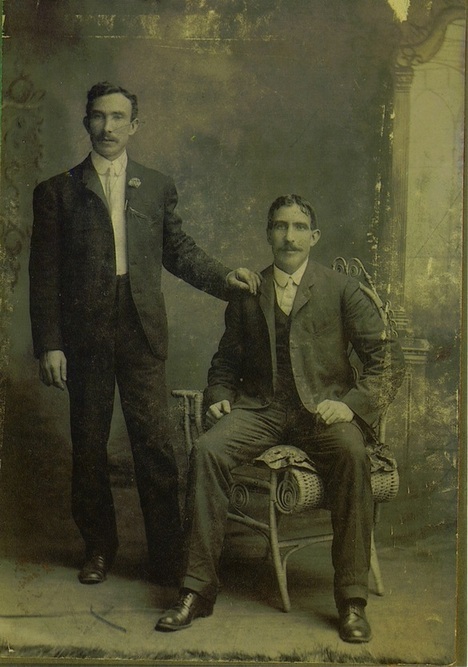 In 1889 my great grandparents Joseph and Eckie Hamilton were living in and managing a boarding house at 136 Jackson Street, Johnstown, Pennsylvania. On May 31 of that year the Johnstown Flood hit the city taking 2209 lives, the greatest one day loss of life on U.S. soil until September 11, 2001. As I mentioned in an earlier article, when you see the names Michael O'Rourke and Mrs. Thomas Feran in the same household in Cleveland, you start to think of Killowen emigrants. This website includes a picture of the 1922 second grade class at Holy Name Parish on Broadway on the southeast side of Cleveland. My mother was in that class and identified most of the children in the picture. She identified the sixth young man from our left in the front row as Bernard Conrad. She also identified the third young lady from our right in the back row as Catherine Conrad. Bernice was born July 22, 1914, in Cleveland, the daughter of Edward Hurley and Catherine Sadler. In 1920 she was living at 9408 Cassius Avenue with her parents and her maternal grandparents, William and Anna (Heffernan) Sadler. 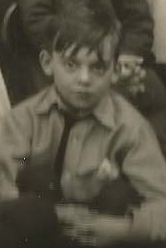 Daniel Orschak was born May 31, 1912, the third child and first son of Fred W Orschak and Margaret Isabel Kearney. His two older sisters were named Henrietta and Angela; his younger sister was Beatrice. Dorothy Louise Vincent was born December 9, 1913, in Maple Heights Village, Ohio, the daughter of William J Vincent and Frances D O'Connor. 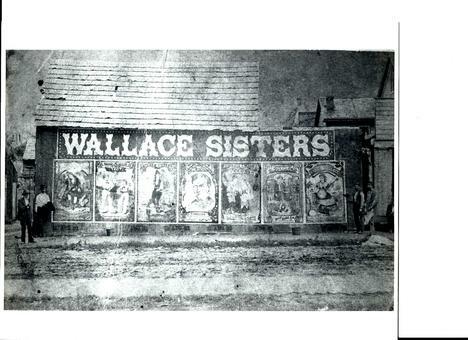 In 1920 the family was living on Broadway in Maple Heights. In 1920, Evelyn was living at 11321 Miles Avenue, Cleveland, with her father Lee, mother Lillian, and brothers Raymond and Ralph. Her father was managing a garage. By June 5, 1917 when Lee registered for the draft, the family had moved one block east, to 11410 Miles. 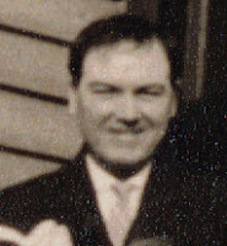 George W Welling was born in Cleveland on April 20,1914, the son of William M Welling and Catherine Farron. The family was living at 13124 Harvard in 1920, in the same home as Catherine's widowed mother Sarah. 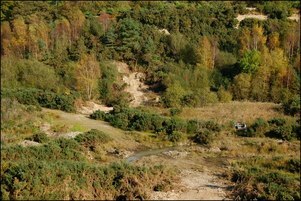 Beside George, the family included his sisters Catherine and Sarah and a brother Thomas. Helen Finnerty was born about 1914 in Ohio, the fifth of eight known children of Michael Finnerty and Helen "Nellie" Kennedy. The family lived at 9423 Meech Avenue from at least 1904 until at least the time of Nellie's death in October 1948. James Cusack was born December 23, 1913, in Ohio, the son of James Cusack and Anne Rice. In 1920 the family was living at 7424 Spafford and included James' brothers and sisters William, Eddie, Joseph, and Kathleen who is recorded here as Helen C. for some reason. In 1922 they were living at 7817 Homestead Avenue. James Kennedy was born November 15, 1913, in Ohio, the son of Cornelius and Anna Kennedy. 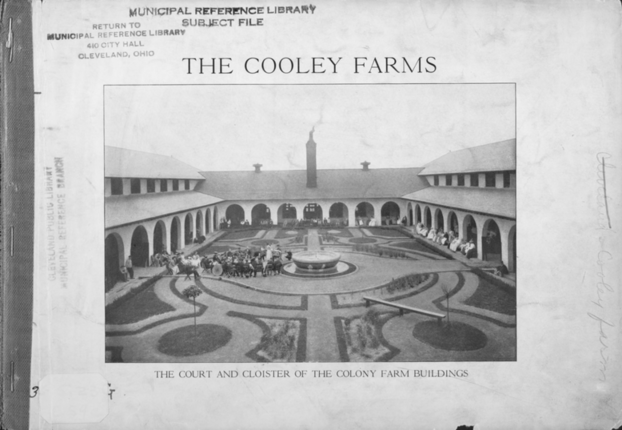 In 1920 the Cornelius Kennedy family was living at 4072 East 76th Street, Cleveland, and included Cornelius, Anna, and children Cornelius, Helen, James, Les, and Irene. Joseph Murphy was born in Ohio on January 17, 1913, the youngest of five children of William J Murphy and Catherine Hunt. Their other children were Edward, Catherine, William, and Robert. Leonard P Kohn was born September 2, 1913. In 1920 he was living with his parents John and Delia (Coleman) Kohn at 4909 East 84th Street, Garfield Heights. Madeline Gutbrod and her family were living at 11010 Miles Ave in January 1920 when the census was taken. 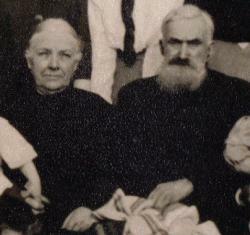 Besides Madeline there was her father John O Gutbrod, her mother Nora (McGuire), her sister Mary, and her brother John. 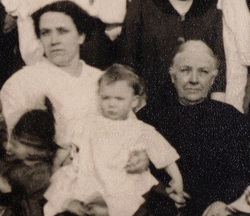 Marguerite Tulley was born April 25, 1913, in Cleveland, the daughter of Simon F Tulley and Mary Keating. In 1920 the family was living at 4140 East 139th Street, and Marguerite's father was a rivet worker. Mary Raimer was born October 26, 1913, the daughter of Philip and Rose (Alten) Raimer. In 1920 the family was living on Libby Road in Maple Heights. The address is not on the census, but later records show that it was 17325 Libby. Peter T Bolan was born in 1914 in Ohio, the son of Peter T Bolan and Elizabeth Sadler. In 1920 they were living at 4063 East 91st and Peter Bolan, Sr., was a scales man for a steel mill. Besides Peter and his parents, there were Peter's sisters Geraldine and Annette, and his younger brother Thomas. Rose or Rosina McNamee was born about 1914 in Cleveland, the daughter of James McNamee and Anna Famera. 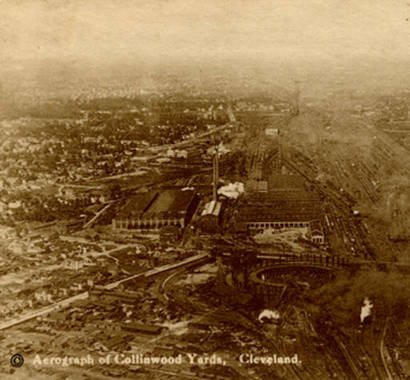 In 1920 the family was living on Sladden Avenue in Garfield Heights. 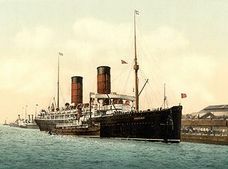 Besides Rose and her parents, there were her two brothers James and Charles.